Hardcover, 6.75 x 9 in. / 96 pgs / 60 color. By Stephen Farthing, Michael Farthing. Leonardo da Vinci created many of the most beautiful and important drawings in the history of Western art. 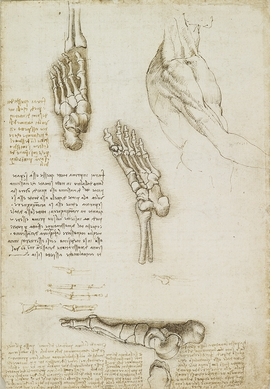 His anatomical drawings became the yardstick for the early study of the human body. 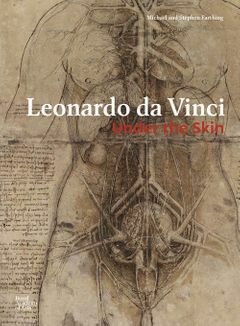 From their unique perspectives as artist and scientist, brothers Stephen and Michael Farthing analyze Leonardo’s drawings—which are concerned chiefly with the skeletal, cardiovascular, muscular and nervous systems—and discuss the impact they had on both art and medical understanding. 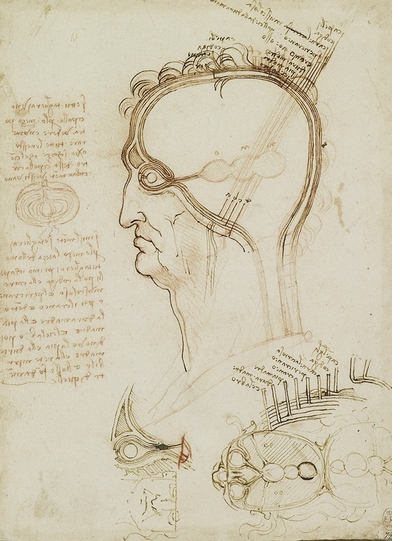 In addition, Stephen has created a series of drawings in response to Leonardo, which are reproduced with commentary by Michael, who also provides a useful glossary of medical terminology. 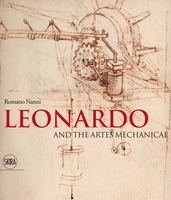 Together, they reveal how some of Leonardo’s leaps of understanding were nothing short of revolutionary and, despite some misunderstandings, attest to the accuracy of his grasp. Leonardo da Vinci (1452–1519) was born in Florence and studied with the renowned painter Verrocchio, qualifying as a “master” at the age of 20 in 1472. After his apprenticeship he worked for Ludovico il Moro, later moving to Rome, Bologna and Venice before settling in France, where his final three years were spent in the service of François I.
Edited by Romano Nanni. Text by Marco Biffi, Fabio Giusberti, Alexander Neuwahl, Davide Russo. FORMAT: Hbk, 6.75 x 9 in. / 96 pgs / 60 color.